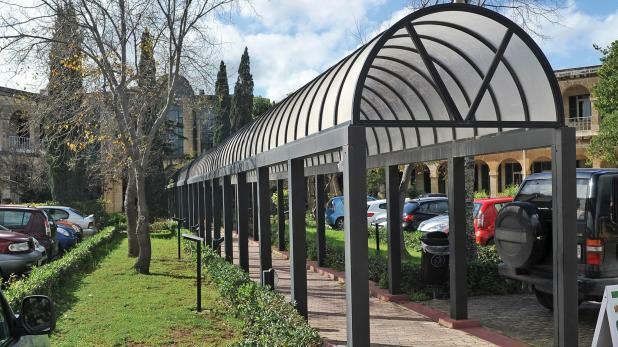 In July, the Environment and Resources Authority (ERA) warned that if three ODZ villas in Żejtun were approved, the developers would be back with applications for swimming pools. In November, the developers were back with applications for swimming pools. The Planning Authority had overruled objections from environmental and cultural heritage authorities, as well as a negative recommendation from its own case officer, to approve the plans for three tourist villas on a vacant plot in the rural area of Ta’ Salvaturi, outside development zones. The ERA warned at the time that approval would create a precedent for further development in the area, as well as adding pressures for extensions or related developments such as swimming pools, resulting in even more ODZ land being taken up. Less than four months later the warnings have been vindicated, with the submission of applications seeking to add swimming pools to two of the villas, extending beyond the built-up area already approved. The applications, formally published last week, have still to be assessed by the Planning Authority and are expected to be decided in January. The July decision marked third time lucky for the developers, after an application for four residences on the same site was refused in 2007, and plans for a tourist complex were withdrawn the following year. The ERA had objected on the basis that the villas would intensify urban development at the expense of rural land. “The construction of a dwelling will further contribute to the overdevelopment of rural areas with adverse, cumulative environmental impacts including further encroachment and proliferation of new buildings and structures which could have easily been located within areas designated for such uses,” the authority said. The Superintendence for Cultural Heritage also expressed concern, urging the PA “to implement its policies to ensure the protection of the natural and cultural landscape”. The project architect, meanwhile, argued that the project would attract high quality tourism in an area where hotels and tourist developments were scarce. In approving the application, the PA board cited nearby residences as evidence that the street was already committed to development, upholding the architect’s argument that the plot constituted an infill site between a rural settlement on one side and a hamlet of farmhouses on the other.